Does Glyphosate Acting as a Glycine Analogue Contribute To ALS? Amyotrophic Lateral Sclerosis (ALS) is a fatal neurodegenerative disease involving several protein mutations in glycine-rich regions with limited treatment options. 90 – 95% of all cases are non-familial with epidemiological studies showing a significant increased risk in glyphosate-exposed workers. In this paper, we propose that glyphosate, the active ingredient in Roundup®, plays a role in ALS, mainly through mistakenly substituting for glycine during protein synthesis, disruption of mineral homeostasis as well as setting up a state of dysbiosis. Mouse models of ALS reveal a pre-symptomatic profile of gut dysbiosis. This dysbiotic state initiate a cascade of events initially impairing metabolism in the gut, and, ultimately, through a series of intermediate stages, leading to motor neuron axonal damage seen in ALS. Lipopolysaccharide, a toxic by-product of dysbiosis which contributes to the pathology, is shown to be statistically higher in ALS patients. In this paper we paint a compelling view of how glyphosate exerts its deleterious effects, including mitochondrial stress and oxidative damage through glycine substitution. Furthermore, its mineral chelation properties disrupt manganese, copper and zinc balance, and it induces glutamate toxicity in the synapse, which results in a die-back phenomenon in axons of motor neurons supplying the damaged skeletal muscles. According to the World Health Organization, the World Bank and Harvard School of Public Health, neurodegenerative (NDG) diseases will become the 8th leading cause of disease burden in developing regions. In addition, NDG diseases will surpass cancer and become the second leading cause of death by mid-century. NDG diseases are expected to surpass 70 million in 2030 and rise to over 100 million in 2050. NDG disease is clearly a health burden and to some degree, a health crisis in our society. In this paper, we have presented a mechanism by which chronic glyphosate exposure can plausibly lead to ALS, due to its properties of metal chelation, disruption of gut microbes, impairment of fructose metabolism, interference with the supply of important nutrients, especially aromatic amino acids and their derivatives, toxic effects on the liver, and, most importantly, its potential ability to substitute for glycine during protein synthesis. The multiple links between glyphosate and ALS are illustrated through the graphical overview illustrated in Figure 3. We have shown how a cascade beginning with gut dysbiosis, progressing to liver disease, muscle failure, and, finally, widespread damage to motor neurons in the spinal column, can lead to a diagnosis of ALS after several decades of chronic exposure to glyphosate. Other NDG diseases have considerable overlap with ALS in terms of the characteristic feature of misfolded proteins accumulating in inclusion bodies in nervous tissues. We believe that glyphosate is a strong factor in the alarming rise in multiple NDGs well beyond ALS. Especially given the insidious and destructive effects that glyphosate can be expected to induce through substitution for glycine during protein synthesis, regulatory agencies should seriously consider banning glyphosate usage to control weeds or for any other purpose. Seneff, S., et al. Does glyphosate acting as a glycine analogue contribute to ALS? (2016) J Bioinfo Proteomics Rev 2(3): 1- 21. 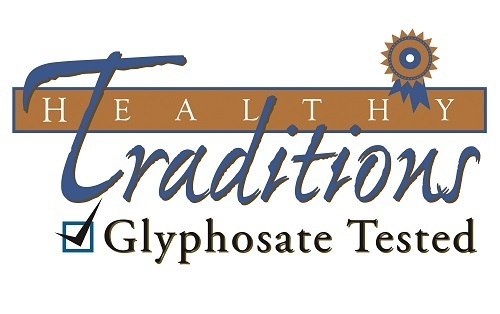 Purchase products tested for the presence of Glyphosate. We have a ZERO tolerance for Glyphosate in our foods!